If you haven't read Part 1, please due so before reading Part 2, so you can get a full understanding on why you must escape/flee America (Babylon) and go elsewhere in the Earth to get inside the borders of the Most High. Shalom, I will show you through scripture that salvation will come from the East, within the Borders of the Most High. There will be no rapture taking place within the earth. We must escape/flee from in region we are in the World, by the Most High will, to get within the borders of the Most High. 2 Esdras 16:40 O my people, hear my word: make you ready to thy battle, and in those evils be even as pilgrims upon the earth. Pilgrims - 1. a person who journeys, especially a long distance, to some sacred place. 2. a traveler or wanderer, especially in a foreign place. Zechariah 13:8 And it shall come to pass, that in all the land, saith the Most High, two parts therein shall be cut off and die; but the third shall be left therein. Remnant - 1. a fragment or scrap. 2. a remaining, usually small part, quantity, number. 4. a surviving trace or vestige. Isaiah 10:20-22 And it shall come to pass in that day, that the remnant of Israel, and such as are escaped of the house of Jacob, shall no more again stay upon him that smote them; but shall stay upon the Most High, the Holy One of Israel, in truth. Isaiah 11:11 And it shall come to pass in that day, that the Most High shall set his hand again the second time to recover the remnant of his people, which shall be left, from Assyria, and from Egypt, and from Pathros, and from Cush, and from Elam, and from Shinar, and from Hamath, and from the islands of the sea. Exodus 14:26-27 And the Most High said unto Moses, Stretch out thine hand over the sea, that the waters may come again upon the Egyptians, upon their chariots, and upon their horsemen. 2 Esdras 12:34 For the rest of my people shall he deliver with mercy, those that have been pressed upon my borders, and he shall make them joyful until the coming of the day of judgment, whereof I have spoken unto thee from the the beginning. 2 Esdras 13:48-50 But those that be left behind of thy people are they that are found within my borders. So the whole conclusion of escaping and fleeing within the borders of the Most High, is to watch and pray that you may be accounted worthy to escape all the evil that is upon the Earth mentioned in Matthew Chapter 24 / Luke Chapter 21 & 17 and Mark Chapter 13. Also if you dont have the Money to flee/escape out of America or wherever you are located in the World, be sure to pray, so you can be accounted worthy. If you are left in America or anywhere else, just don't accept the mark of the beast mentioned in Revelation chapter 13. Those who escape are worthy to stand before the Son of man (Christ) who will come from the east as mentioned in Matthew 24:27 to save that remnant that is left mentioned in Romans 9:27. 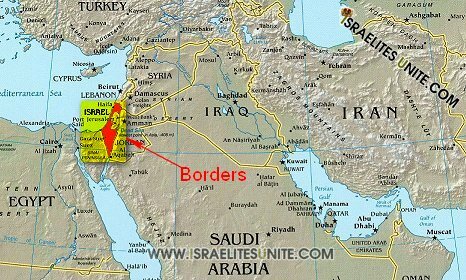 Which are those who are left out of Israel in the time of there salvation. 2 Esdras 8:1 And he answered me, saying, The most High hath made this world for many, but the world to come for few. Mark 13:33-35 Take ye heed, watch and pray: for ye know not when the time is.